Hi friends! I am still off on my cruise, hopefully now at least a shade or two darker than my usual Irish-pale self, and at the very least "darker" with freckles from the sun! Today, I am so happy that my bloggy friend Ms. Buckhead Belle is going to help me with a Guest Post. Give her some love! Thanks BB! Hello all! I was so excited when Katherine e-mailed me about doing a guest post while she is off sailing the 7 seas on her cruise. Yours truly is green with envy, hehe. I am a fellow Buckhead girl, and I love reading her blog for tips on life in the A-T-L. While it may not be fall weather here just yet, I am on the major countdown until its time to wear sweaters and drink a pumpkin spice latte to actually stay warm. One of my favorite fall trends this year is all things leopard. How fitting for the urban jungle that is Buckhead! See below some of my purrrr-fect picks! 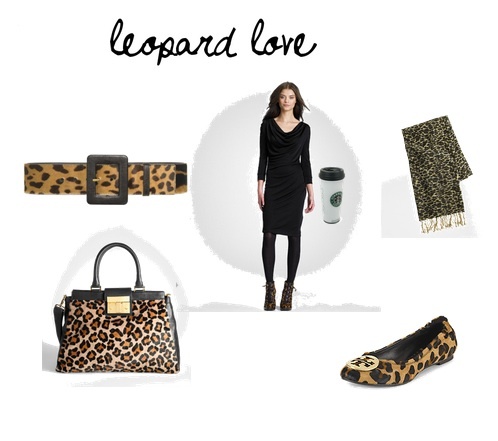 I'll be adding a feline touch to an all black ensemble for a little pizazz!